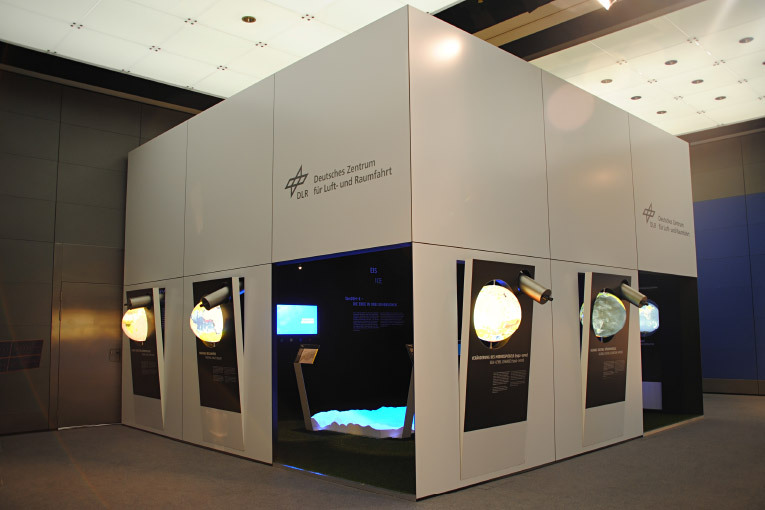 The DLR (German Aerospace Centre) presents a cross-section of its extensive research activities in space with the Earth Observation Box. 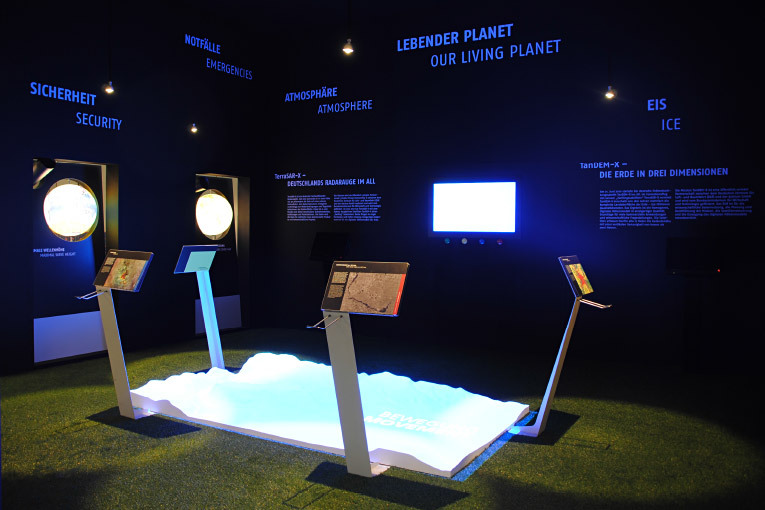 The achievements of various earth observation satellites can be seen on luminous globes which are suspended in the walls. Next to these are telescopes through which visitors can see the satellites that provided these radar images. 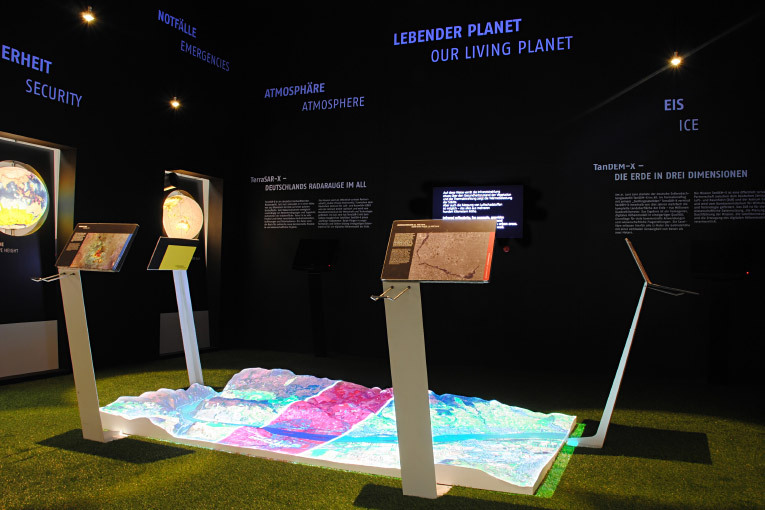 In the middle of the dark interior, a sequence of images illuminates a unique digital, elevated model of the Earth’s surface. With a precision of less than 2 m, movements of the Earth, floods or traffic volumes can be detected.